The eligible visitors are exclusively re-sellers of haptic advertising, industry users are not allowed to attend. Around 120 exhibitors offered the visitors a representative overview of the offer of haptic advertising – the official attendance figure was not available at the time of going to press. F – The 7th edition of the Premium Sourcing took place at “Les Docks – Cité de la Mode et du Design” in Paris on September 6 and 7, 2017. The trade fair is jointly organised by the two French industry service providers, 656 Editions (CTCO) and European Sourcing, and offers the French industry an established contact platform at the start of the second season of the year in the heart of the capital. Exclusively promotional products distributors are allowed to visit the show. 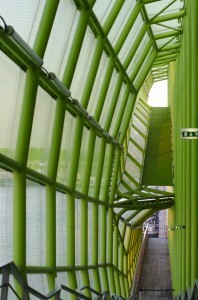 According to the official accounts, around 120 suppliers – which corresponds to the same number of exhibitors as last year – presented their wares and fares at the architecturally striking fashion and design centre on the banks of the Seine – the majority of whom were as usual international companies. 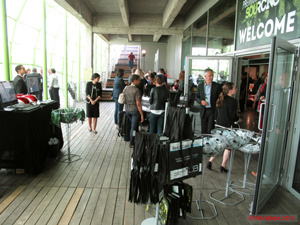 F – The sixth edition of the Premium Sourcing event took place in the “Docks en Seine – fashion and design city” in Paris on September 14 and 15, 2016. The trade fair that is jointly organised by the French industry service providers, 656 Editions (CTCO) and European Sourcing, once again offered the French industry an established contact platform in the heart of the capital city. 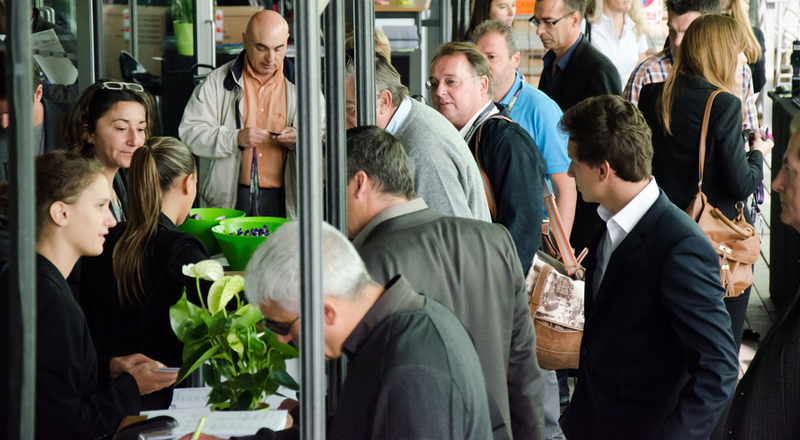 According to the organisers as always there was a high share of international suppliers among the around 130 exhibitors, who presented themselves at the show, for whom the Premium Sourcing like the CTCO at the beginning of the year has in the meantime become a must-attend event. 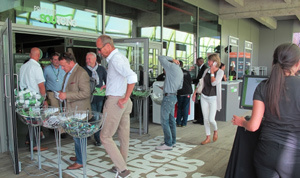 F – The fifth edition of the Premium Sourcing took place in the “Docks en Seine – Cité du Mode et du Design“ in Paris on September 2 and 3, 2015. The trade fair is jointly organised by the French industry service providers, 656 Editions and European Sourcing and offers French promotional products distributors and international suppliers an information and contact platform in the heart of the French capital. F – The Premium Sourcing is taking place for the fifth time on September 2 and 3, 2015 in the “City of fashion and design”, in Paris. The trade fair that is organised by the French industry service provider, 656 Editions, and the European Sourcing Group, is a contact platform between promotional products suppliers and the French promotional products trade, which is staged in the heart of the French industry with a venue date that targets the year-end business. 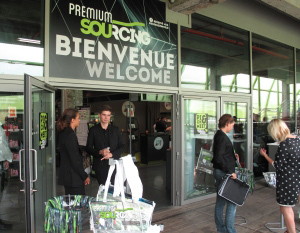 F – For the fourth time the French industry service providers 656 Editions and the European Sourcing Group organised the Premium Sourcing from September 3-4, 2014 in the “Cité de la Mode et Design” at the Docks en Seine. According to the official figures, 1,862 visitors (2013: 1,719) from the promotional products trade visited the show over the two days and the aisles were already full from the very start. Many of the 117 suppliers (2013: 117), who presented their products and services at professional and attractive uniform stands as usual, were well satisfied with the response and the quality of the visitors. F – This year’s edition of Premium Sourcing was staged amid midsummer temperatures and under a beautiful blue sky – no wonder the visitors were in good spirits. 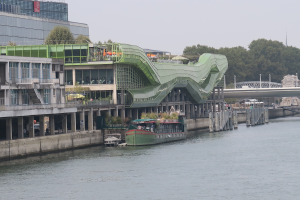 The third edition of the event took place on September 4-5, 2013 in Paris – however this time at the Feyssinet Hall as a replacement location, because the “regular” venue, the “Cité de la Mode et du Design”, which offers a view over the Seine, is currently being renovated. 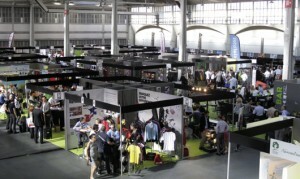 However the event will return to its original location again in 2014 – and should the temperatures prove to be as high next year it will be to the delight of the exhibitors, because the “Cité de la Mode et du Design” is air-conditioned, which unfortunately was not the case at this year’s venue. However, this did not dampen the high spirits at the show that is jointly organised by the French publishing company, 656 Editions and the European Sourcing Group. According to the official figures, 130 exhibitors presented their high-quality products at professional uniform stands, which covered around 4,000 m² of exhibition space. 1,719 people from 856 companies visited the trade fair – which corresponds to an increase of 200 visitors compared to the previous year. The exhibitors particularly praised the excellent organisation and service offered by the organisers as well as the quantity but above all the quality of the visitors – who were exclusively promotional products distributors. A special highlight was the casual get-together between the exhibitors and visitors that was held after the fair had officially closed at 6.30 pm on the evening of the first day of the show. Culinary delights and chilled champagne were served to the guests free of charge. Without any qualms all of the guests were able to drink a toast to the success of this year’s Premium Sourcing on the evening of the first exhibition day already. Tous les « Top » acheteurs étaient à Premium Sourcing ! Avec 1 719 visites enregistrées les 4 et 5 septembre dernier à Paris, Premium Sourcing a réuni la profession et confirmé son positionnement de salon de rentrée, dédié aux plus importants acheteurs du marché. La date de Premium Sourcing, tout début septembre, est plébiscitée tant par les visiteurs que les exposants qui apprécient ce rendez-vous très tôt après les congés d’été pour une rentrée efficace et un lancement de saison de fin d’année beaucoup plus rapide. En « bonus » cette année, chaque visiteur a pu repartir avec un guide du salon nouvelle formule comprenant non seulement un annuaire des exposants, mais aussi un catalogue des « Produit Leaders » sélectionnés par eux : 1 produit par exposant soit les 130 articles incontournables de l’automne 2013 ! Côté visitorat, le format idéal a désormais été atteint. Les Rencontres Premium Sourcing sont conçues comme des rendez-vous d’affaires réunissant tous les fournisseurs leaders du marché et les plus importants revendeurs de textile et d’objets promotionnels. Les visiteurs « Premiums », au nombre de 614, ont d’ailleurs représenté 40 % du visitorat total et deux tiers des plus grosses sociétés de négoce de produits promotionnels ont fait le déplacement. Ce côté « haut de gamme » de l’événement est revendiqué par les organisateurs, 656 Editions et European Sourcing : «Premium Sourcing affiche un excellent ratio exposant/visiteurs. Même si la demande est là, notre salon parisien de septembre est et restera un événement ‘Premium’, accessible uniquement sur invitation. En effet, chaque année, l’organisation enrichit le visitorat en sélectionnant de mieux en mieux les visiteurs et en affinant le choix des sociétés qui sont invitées ». L’occasion de rappeler également que Premium Sourcing fonctionne en parfaite complémentarité avec le salon CTCO, proposé début février à Lyon par les mêmes organisateurs. Avec un concept sensiblement élargi : 250 exposants, 9 000 visiteurs attendus et la tenue en parallèle d’un autre salon, C!Print, consacré à la communication visuelle, un secteur en plein mutation qui recèle de nombreuses opportunités pour les revendeurs d’objets promotionnels qui souhaitent se diversifier. « Premium Sourcing et CTCO sont deux salons complètement différents, mais également nécessaires à notre activité. A Paris, le concept et la date sont parfaits pour se remettre dans le bain très vite après les vacances. Un nombre limité d’exposants, des stands pas trop grands, le tout concentré sur 2 jours : en tant que visiteur, on sait précisément qui on va voir et pourquoi, c’est le lieu idéal pour faire les tour de ses fournisseurs et relations commerciales. 1 562 visiteurs représentant 880 sociétés dont 176 sociétés « premium », identifiées comme étant les plus importants acheteurs du marché. All the “Top” buyers attended Premium Sourcing! 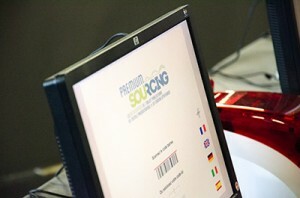 On the 5th and 6th of September in Paris, the second Premium Sourcing event delivered on its promises. 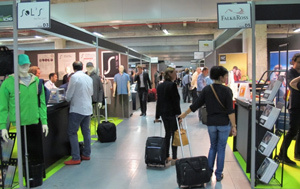 1,519 unique visitors, from key companies in the sector, came out to meet with their main suppliers of promotional garments, gifts and corporate gifts. With a targeted, friendly set-up in an exceptional, contained setting over 3,500m2, it offered two days of meetings to get down to business at a key period of the year. Premium Sourcing has all the ingredients making it an event where the quality of contacts matters more than the actual crowds. The Paris exhibition, which had already been almost fully attended from the very first event in 2011 with 1,424 visitors, still recorded an increase in the number of visitors, as the 2012 event attracted 1,519 unique visitors (1,642 visits in total) – that is, an increase of 6.74%. Even more importantly: amongst the 866 companies represented, all the main retailers of promotional products attended the event. In fact, almost 80% of the “Premium” visitor base, comprised of 300 of the largest companies in the sector, were there. Guillaume Abou, Director of 656 Editions and Co-organiser of the exhibition in partnership with the European Sourcing Group, was proud of the increase in the weight Premium Sourcing carries: “The objective of an event like Premium Sourcing is not to continually attract more visitors, it’s to continually attract more targeted visitors. Initial feedback received from our exhibitors, of which there were 119 this year, was very positive. They presented, in Paris, a selection of targeted products and promotions for the end of year period. These two days really offered fruitful meetings generating business for all”. 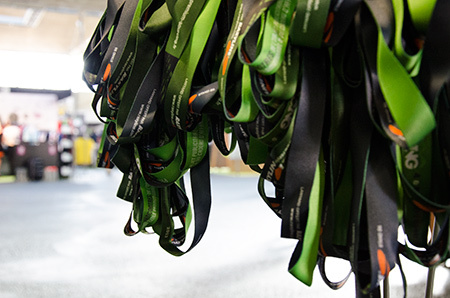 This second Premium Sourcing event also provided the opportunity to award the Green Goodies trophies to winning suppliers. This competition on the most “sustainable” promotional products that also respect the environment was held during the CTCO exhibition in February 2012, an event also organised by 656 Editions.